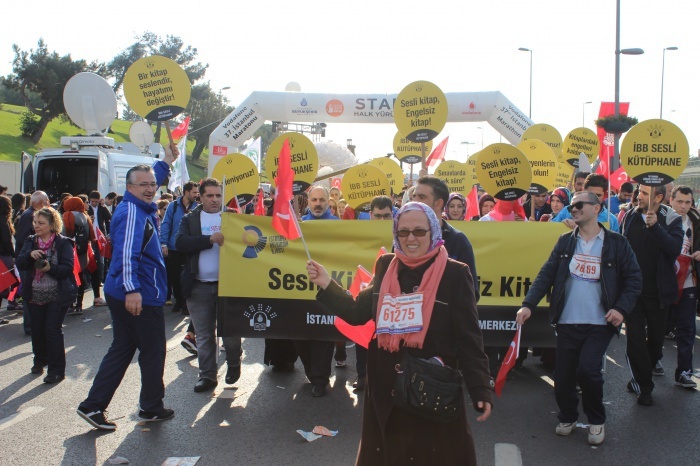 Eyüp Audio Library has attended to 37th Istanbul Maraton with visually handicapped members and volunteers under the title of “Audio Book and Not Handicapped”. 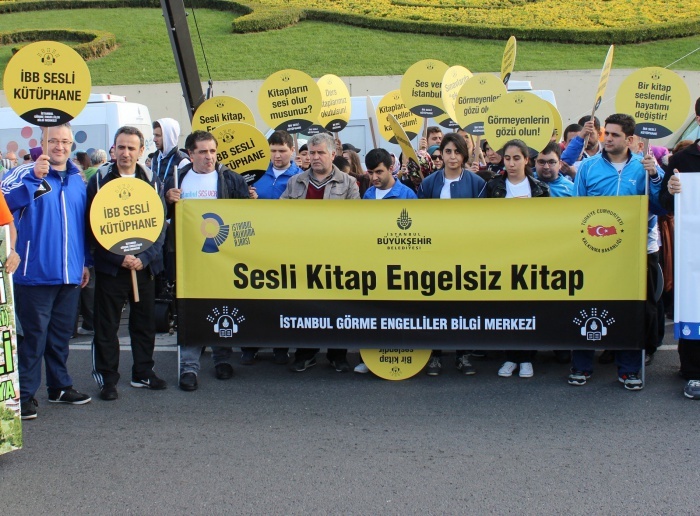 Eyüp Audio Library services not only Istanbul but also across the country with 8 reading cabins,1 Braille typewriter-machine, 15 Braille keyboard computer. 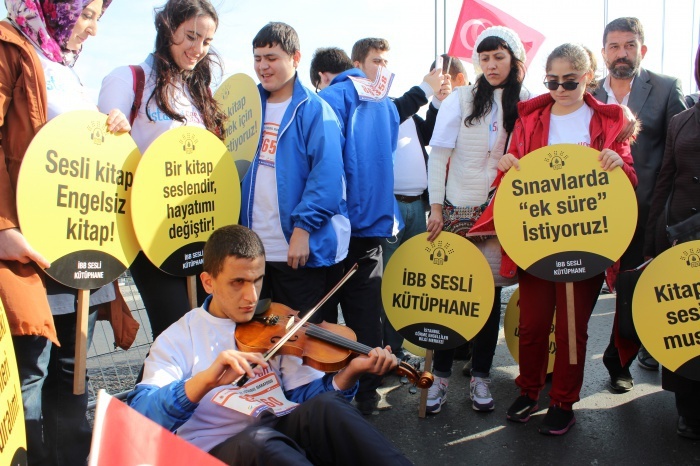 On weekends, volunteer university students help lessons to visually handicapped students who are generally in elementry schools in audio library. 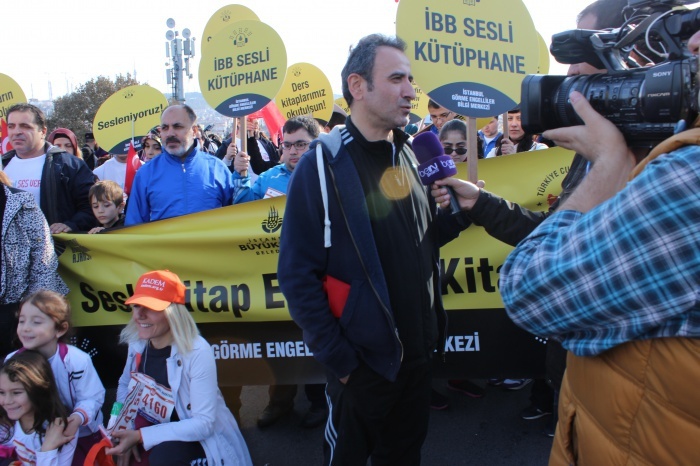 Personels and director Mr. Ramazan Minder of IMM Directoriate of Libraries and Museums have realised a walking in Altunizade side of Bosphorus Bridge. 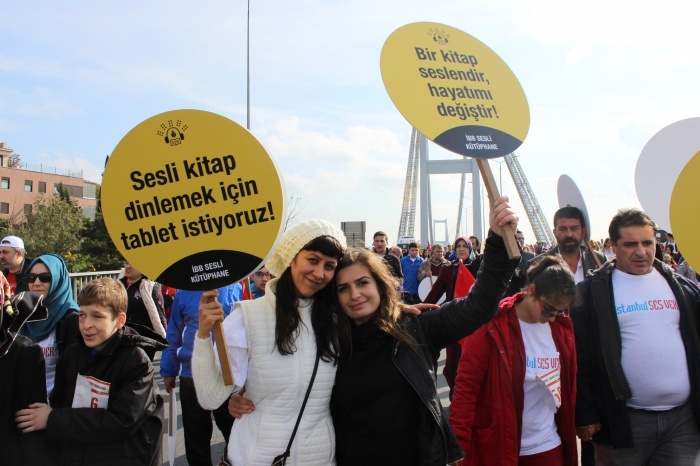 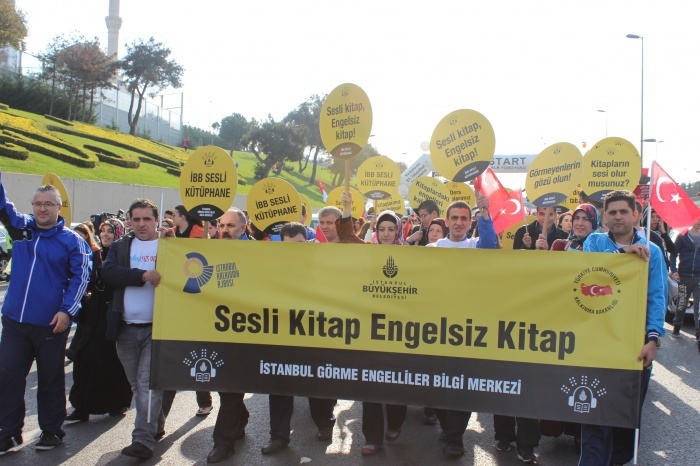 In the meanwhile our personels carried posters and placards about “Istanbul Give Out Sound” activity. 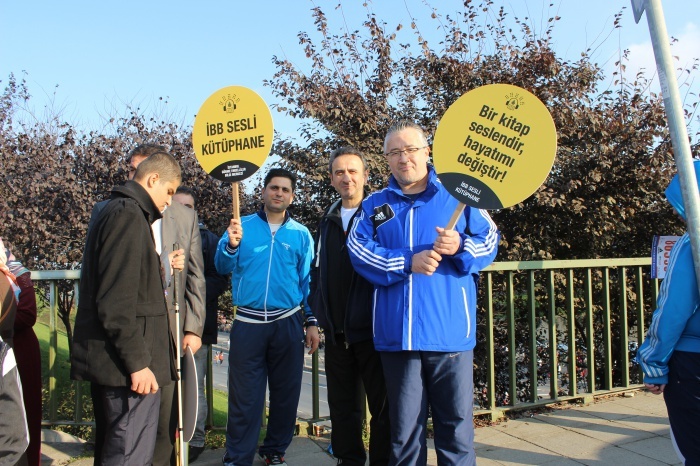 Through that activity, our library has seen intense public and media interest and the number of volunteers has increased.